Slovak Ambassador Peter Kmec welcomed the five 2017 Friends of Slovakia Slovak Scholars to the Embassy together with program supporters including FOS Chairman Joe Senko and President of The Fund for American Studies Roger Ream. TFAS runs this intensive two month summer program at George Mason University. The FOS Scholars also have internships with local organizations relevant to their interests. Contributions from individual FOS supporters and from the Slovak-American Foundation and Slovak American Business and Innovation Council have made the program available to 44 Slovak Scholars thus far. Featured in the photos above from left to right (*=FOS scholar): Mária Sofia Takáčová*; TFAS President Roger Ream; FOS Chairman Joe Senko; Jeff Reid, Adjunct Professor and Director Georgetown Entrepreneur Initiative & Matúš’ sponsor; Slovak Ambassador Peter Kmec; Jaroslav Leitmann*; Andrea Ratkošová; Matúš Záhradník; Michaela Halásová*; Roger Kodat; Amb. Ted Russel; Ken Bombara; and Miroslav Ivan of the Slovak Embassy. Behind the group is the FOS Wall of Honor which thanks contributors that support FOS’ cultural and educational activities. 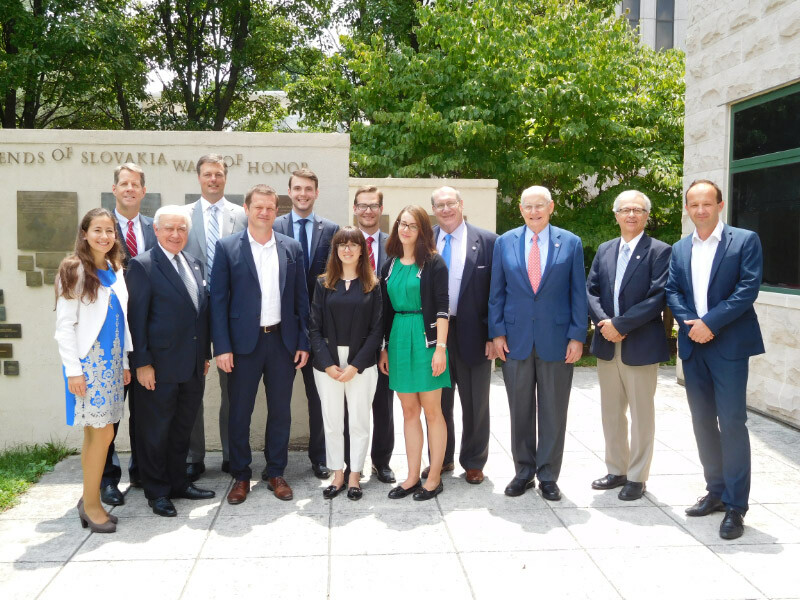 The 2017 Slovak summer scholars are now in Washington! 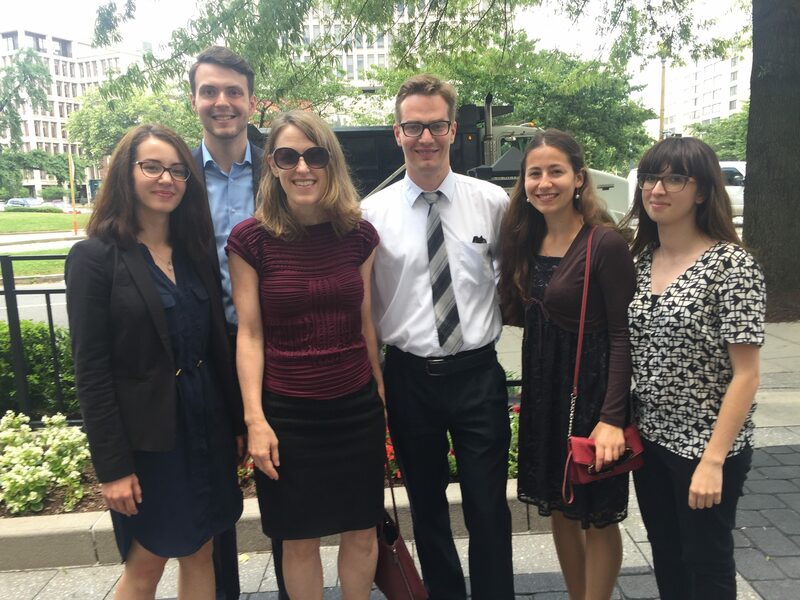 Friends of Slovakia (FOS) is pleased to announce that we currently have five Slovak scholars studying and interning in Washington, DC this summer through the Fund for American Studies (TFAS). This marks the 14th consecutive year of our scholarship program, which has continued thanks to generous support from a variety of donors. The Slovak America Foundation (SAF) has been sponsoring students since 2012, and this year, we have additional funding from the Slovak American Business and Innovation Council (SABIC). The scholars will remain in Washington through late July. Mária Sofia Takáčová (from Košice-Krásna) is completing her Bachelor’s degree in Management at Comenius University in Bratislava. She has worked as an intern at Google (focusing on Digital Garage) and has served as a Client account administrator at PricewaterhouseCoopers in Bratislava. 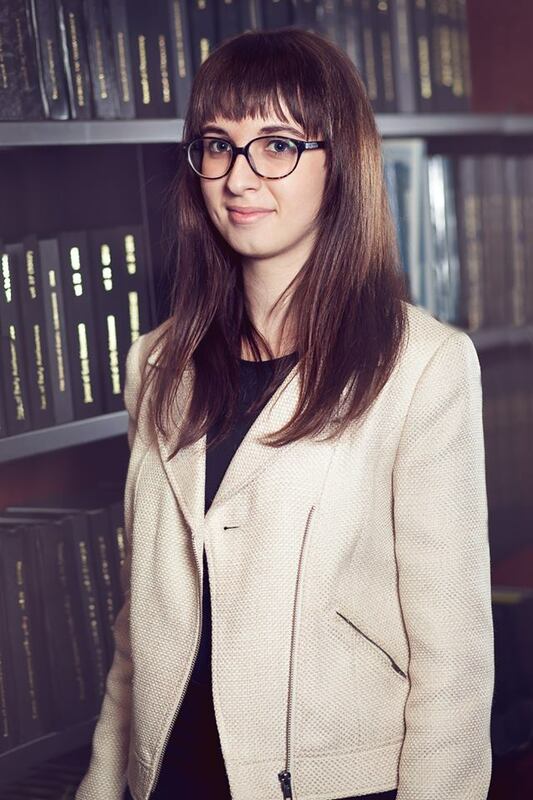 Takáčová is active in the Consulting Club Bratislava, a student organization that helps students develop hard-skills, soft-skills and network required to pass the highest level job interviews. In addition, she has been involved in the Duke of Edinburgh’s International Award as a volunteer and a mentor. During her stay in Washington, Takáčová is interning at Mentors, Inc. Her summer scholarship is sponsored by FOS individual donors. 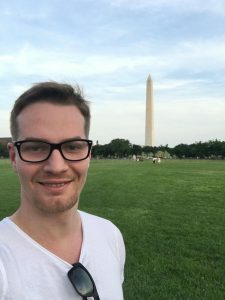 Matúš Záhradník (from Ružomberok) will complete his Master’s degree in Public Policy at Comenius University this August. During his studies, he has been employed as marketing coordinator at Nexteria, an NGO that works with young leaders in business and the non-profit sector. In that role, Záhradník has worked on events and outreach (including social media promotion) and has been responsible for the Leadership Academy program’s hiring campaign. He has also worked with SAF on the Startup Awards. While in Washington, Záhradník is interning at the Georgetown Entrepreneurship Initiative – Hoyas Startup Program. His summer scholarship is sponsored by SAF. 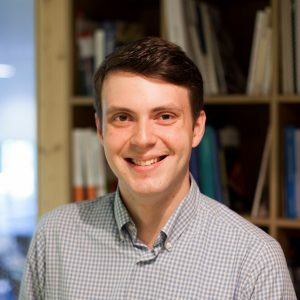 Jaroslav Leitmann (from Kľačno, near Prievidza) recently completed his Master’s degree in International Public Policy at University College London. He has worked as a project assistant at the Slovak innovation company Neulogy and as a communications consultant at the Slovak Organization for R&D Activities, where he led an online strategy for a science popularization project. Leitmann has also interned with the European Commission. During his stay in Washington, Leitmann is working at the company TE Connectivity. His summer scholarship is sponsored by SAF. Andrea Ratkošová (from Malý Šariš, near Prešov) is currently pursuing her Master’s degree in International Relations at Masaryk University in Brno, with expected completion in 2018. Her work experience includes corporate partnerships assistant with GLOBSEC and development activities with the Pontis Foundation. She is a Vice President in the Student Section of the International Institute of Political Science at her university. While in Washington, Ratkošová is interning at the Slovak Embassy. Her summer scholarship is sponsored by SABIC. Michaela Halásová (from Bratislava) will earn her Master’s degree in Business Administration from the University of Amsterdam this autumn. She has worked in the human capital area with the LEAF organization and has also been employed with Venture Investors Corporate Finance and Accenture. 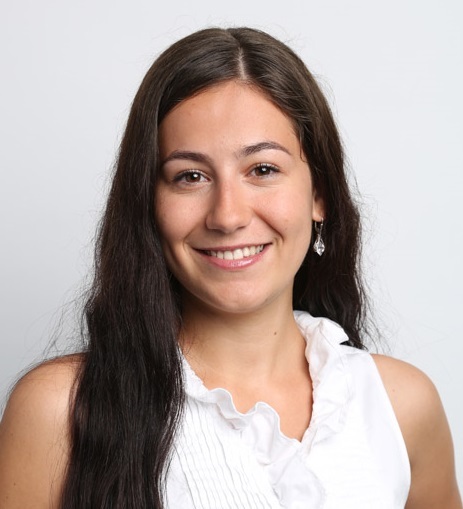 Moreover, Halásová participated in McKinsey’s SHE Leads program, EY’s Leadership Academy, and the Turing Society Front End Bootcamp. 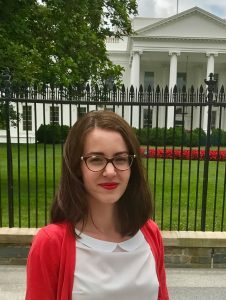 During her stay in Washington, Halásová is interning at the National Academy of Public Administration. Her summer scholarship is sponsored by SABIC. 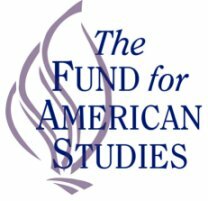 For anyone who would like to contribute to funding a scholarship for summer 2018, please see the FOS website. The TFAS programs have proved invaluable to past scholars.